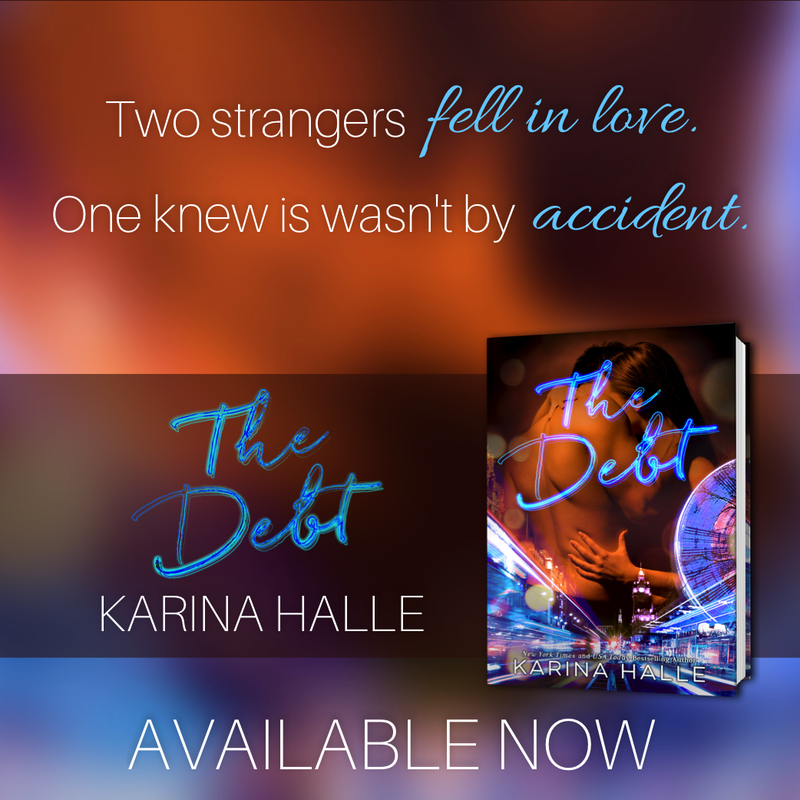 Karina Halle seriously never disappoints. I have read pretty much all of her books and each one is just as good if not better than the last. Her characters are normal everyday people who you can’t help but feel like they are your friends. You also start to relate to the characters on a personal level, seeing parts of yourself in them. Karina makes her characters, their story and their journey so believable that you can’t help but wonder if the real life Jessica and Keir are in fact out there living their life in Scotland. 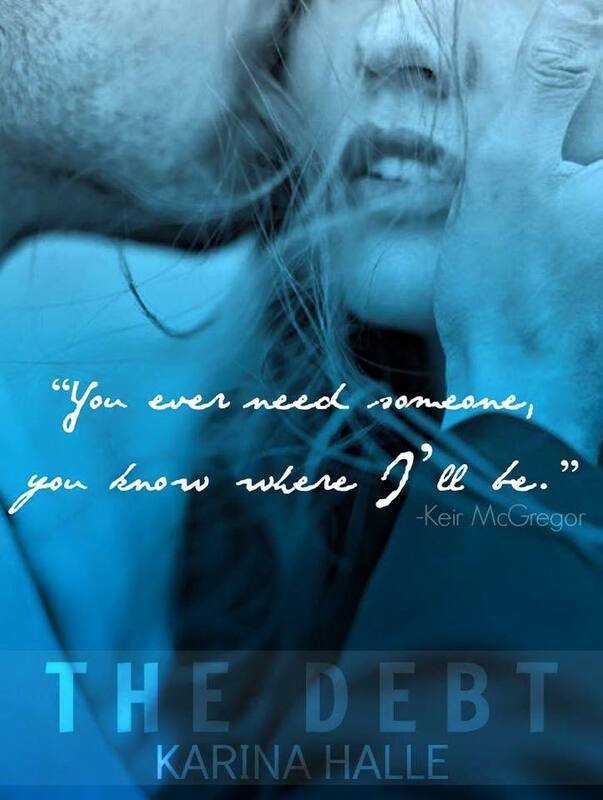 The Debt is the amazing story of Keir McGregor and Jessica Charles. From the very first chapter of this book you can’t help but be sucked into the story. When a horrific event happens, (one that we,the world, is sadly experiencing and becoming more familiar with) it rocks Jessica to the core and forces her to accept a new normal; one that she never thought was in the cards for her. While Jessica is dealing with the aftermath of the event and focusing on healing herself, she meets Keir McGregor. Keir is dealing with guilt of a past tragedy which he feels caused the horrific event that stole the life that Jessica once had. Feeling that he owed her some sort of an apology or explanation Keir makes it his mission to find Jessica and make things right. Little did both of them know that meeting one another would change their lives. When past secrets come to light will forgiveness be given? Or will the aftermath of the tragedies that both Jessica and Keir lived through prove to be to big of an obstacle to get over? Gosh I just love Karina’s work. 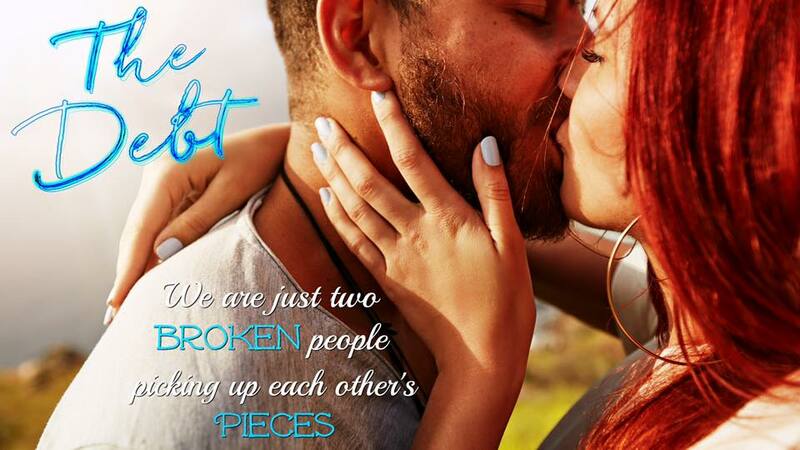 Her words make you feel as if you are vividly living the story with the characters. The reader can’t help but get lost in their world. The plot of this book can truly hit people close to home and Karina wrote about it in such a real true way. Don’t miss out on this amazing read!